Great that you resolved the problem. That is timely verification of my earlier post today. I always stay away from the PC power supplies. I would not worry too much about lacking CE certification. Usually the competition in the switching power supply market requires good performance or the companies will not be in business. But there was mentioning of the power switch not functioning any more. And not switching on the HBP power after switching on the main powwer.. I go for the relay as well, but the socket is not yet here. First I’d love your website design! Simple and clean for reading. To how many degree you want heating your bed? 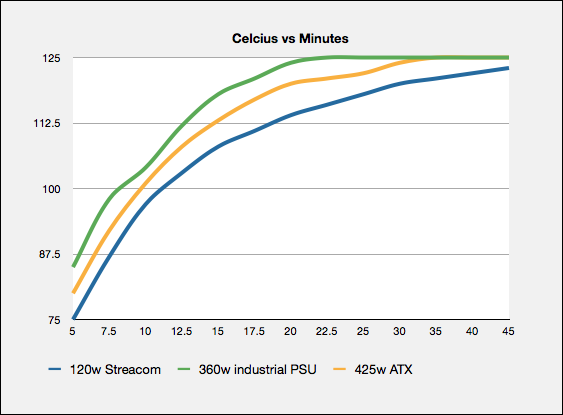 The reason is that the KDM 1U 425 power supply isn’t really 425 watt. It’s split into two “rails” - each with something like 212 watts…. is it making the things to run slowly or what? I had the same experience, it definitely splits the output and this has resulted in significantly reduced output. It would be nice to get a reliable 360 PSU generator working for you that was either made here for CE certification or at least a foreign one that was compliant.